I got this email yesterday afternoon from a client that’s been through our training program. We enjoy seeing notes like this because we are motivated by seeing our clients succeed. Just another example of success through a solid, consistent social media plan. 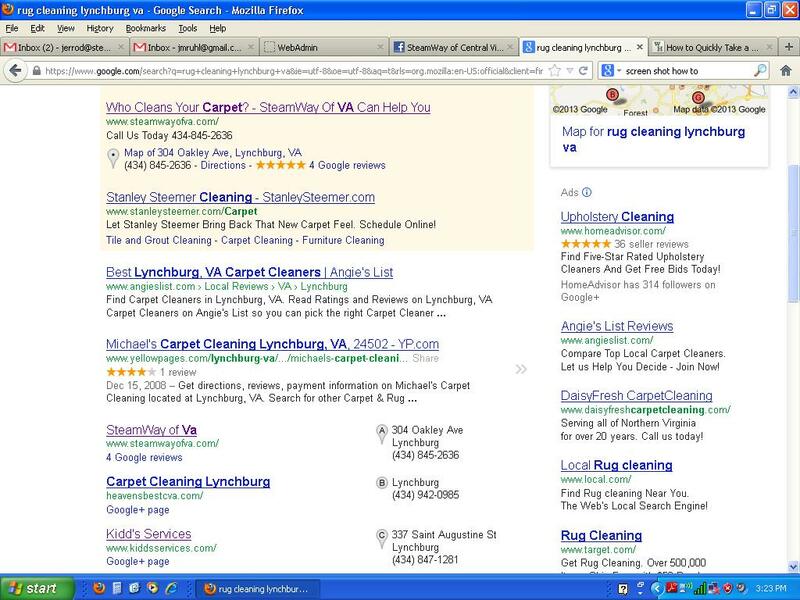 Here’s how we show up on Google when I search on “rug cleaning lynchburg va” We’ve shown up well in the past when searching on carpet cleaning, but not rug cleaning. consistent work and your help is paying off! !